Michael Wagner and Jane Godwin are a talented husband and wife literary couple. 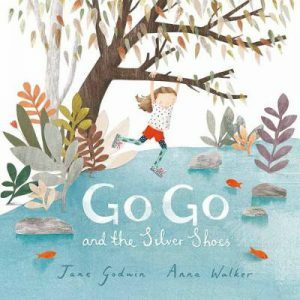 One of the first times I was aware of Jane Godwin’s work was when she was CBCA shortlisted for The True Story of Mary Who Wanted to Stand on Her Head. 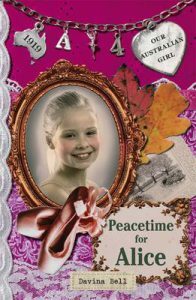 This and her other books are wonderful, and I particularly love the picture books Today We Have No Plans, Starting School and Go Go and the Silver Shoes and her YA novel Falling from Grace. I clearly remember meeting Michael Wagner in Brisbane when I was consultant for an Indie bookstore there. Penguin Books were taking him around to talk about his unique series ‘The Undys’. 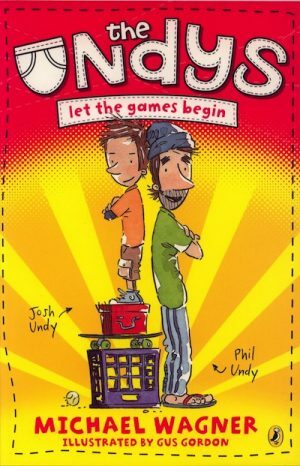 I loved the games that the father and son played in these books and the love, as well as pathos, in their life and relationships in the housing commission apartment where they lived. Thanks for speaking with Boomerang Books blog, Jane and Michael. What are your professional roles in the book world? We’re both full-time authors and part-time publishers. I (Michael) have my own small imprint, Billy Goat Books, which allows me to dabble in publishing by releasing a book or two a year, while Jane freelances for a couple of different publishers. What have you written together and how do you help each other with your work/writing? 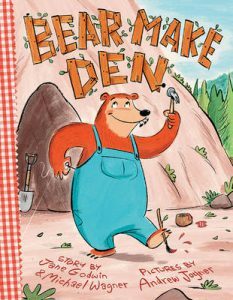 MW: We’ve actually only collaborated once, on the picture book Bear Make Den, the text of which is about 50 words, so much of our effort went into reducing the number of words in the text. It’s funny, you might think that two authors would double the prose, but in that instance, we helped each other create the most economical prose possible. But we’re also slowly working together on a series of early readers. It’s an idea that I came up with, that would probably work as a series, but which really plays more to Jane’s strengths (i.e. her understanding of very young children), so it makes sense for us to work on it together. When we’re not working together, we help each other with feedback and encouragement. It’s hard for ‘life-partners’ to be too critical of each other’s work – we’re meant to be our number one supporters, really – but whenever we get stuck, we seek help from each other. What other literary/illustrative partnerships do you have and what books have these produced? JG: Anna Walker and I have created 6 picture books together, and we’re working on our seventh. I am also Anna’s publisher of her books that she writes and illustrates herself, so we are quite connected! I feel very lucky to have the partnership with Anna. We have become good friends through working and exploring ideas together, and I think we each have an understanding of how the other works, and sees the world. I’ve also made 3 books with Andrew Joyner, and we’re working on a couple more at the moment. I love working with Andy – he is a genius at character and gesture, and he’s also very insightful with text, and gives great advice and feedback about the narrative and story. He’s interested in the words as well as the visual world of the story. Alison Lester and I have collab orated in many ways as well. 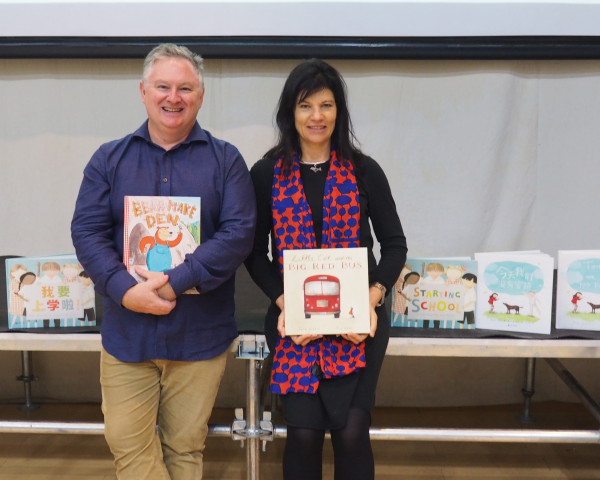 I’m her publisher, we’re great friends, and we’ve made many books together in Aboriginal communities with the kids and sometimes with the adults, too. Recently we collaborated in creating a picture book called The Silver Sea, which we made with young patients at the Royal Children’s Hospital, Melbourne. 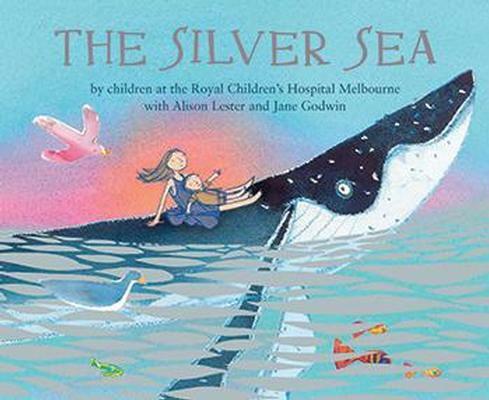 This was a really wonderful project to be involved in, and all proceeds go to the Education Institute at the RCH. My friend Davina Bell and I have also collaborated in various ways. Together we created the Our Australian Girl series when we were both working at Penguin. Davina and I have also co-written two books, and both have been illustrated by Freya Blackwood. The three of us really enjoy working together, and usually this involves a trip to stay with Freya in Orange, where Davina and I camp in her beautiful studio. Could you give us examples of your books across age-groups and forms, from picture books to series and novels. JG: I’ve written picture books, junior novels and also stand-alone novels for middle readers and teenage readers. I wrote many titles in the Aussie Bites and Aussie Nibbles series, and over the past 10 or so years it has been mainly picture books. Part of the reason for this is that I adore the picture book genre – it fascinates and inspires me – and the other part is that I had a very busy and demanding job as a publisher so never had the time to write novels. Now that I’ve left Penguin, I’m working on longer stories as well as picture books. Which of your books’ longevity in print are you particularly pleased about? 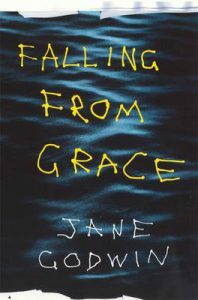 JG: I’m pleased that the novel I wrote over 10 years ago now, Falling From Grace, remains in print and is set at Year 8 level in secondary schools. I still receive letters about that book from readers both here and in the US, so I feel happy that it’s still being enjoyed and hopefully hasn’t dated too much! When in Brisbane, Michael and I also talked about his being in a band and about Jane’s YA novel Falling from Grace (2006), which I loved and have kept all these years. I still have the post-it note on the cover, which I wrote recommending it to one of my twin sons, who was then 14 years-old. The key character for me, Kip, was also 14 in the book, looked older than his years, played music, had given up swimming even though he was a champion and suffered anxiety – all like my son. He seemed like such a real person. If I recall correctly, Michael mentioned that Jane had written the character with the help of their son, Wil. 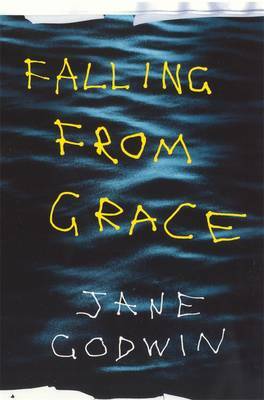 After all these years, Falling from Grace is deservedly still in print and I highly recommend it. JG: Oh, that’s lovely, Joy – thank you. Wil didn’t help me with the actual writing, but I was certainly observing him and his world when I was writing that book! 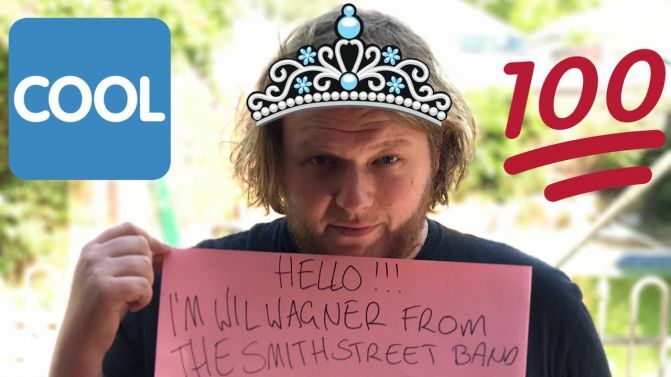 It’s perhaps not surprising that the son of such a creative couple is now the lead singer, lyricist and muso in famous Oz band, The Smith Street Band. How did you nurture Wil as a writer? Which song of his are you most proud and why? JG: Wil was always interested in music and rhythm, from a very young age. He was also always interested in language. He spoke at a very early age, and also loved reading and books. I read to him a lot, until he was quite old! A passion for music is also something that Wil and Michael share. I’m proud of a lot of his songs, and I have my favourites. A sentimental favourite is My Little Sinking Ship, which is a song he wrote for his sister, our daughter Lizzie, when they were both teenagers. I also love Laika, which is a very sad but beautiful song about vulnerability, really, based around the story of the Russian dog that was sent into space. Lizzie and Wil have actually collaborated on both those songs – Lizzie made a little animation film clip for My Little Sinking Ship when she was in secondary school, and they made a handmade book, illustrated by Lizzie, for Laika. We printed a limited quantity and they sold it at gigs. Recently, Wil received an email from a teacher at a Melbourne primary school, who said that her grade 5 and 6 students studied the Laika song, and it really inspired them in different ways. I found this very moving. MW: All I can add to what Jane’s said is that I’ve been semi-obsessed with music since I was in primary school and I think that sort of passion from a parent is often absorbed by his/her children. 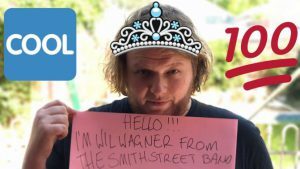 I was also in a band that almost became famous, so perhaps Wil is living out a part of my life that was never quite fulfilled. I should also say that I never consciously pushed him in that (or any other) direction, we just responded to his interests, whatever they were at the time. Which literary award has meant the most to you? JG: I won the QLD Premier’s Award with my first novel, and this probably meant the most because it was very affirming when I was just starting out. What are you reading and enjoying at the moment or recently? JG: I’m reading George Saunders’s short story collection The Tenth of December. I recently read Lincoln in the Bardo and loved it, so I’m reading everything else of his now! (Wil is also reading the same book, btw!) I recently read Raymie Nightingale by Kate DiCamillo. I love her writing, and can’t wait for her next book to come out. MW: I’m almost always reading books about psychology, philosophy or human nature. I guess I’m hoping to become wise some day. What are you writing now or next? MW: I’m writing a few different picture books at the moment, but also trying to master a middle-reader series idea I’ve had hanging around for about five years. 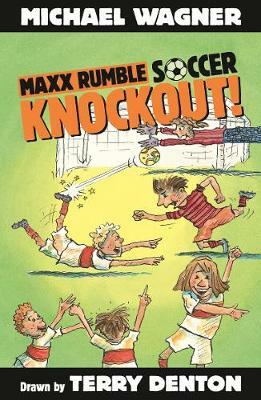 It has a catchy title and some decent enough plot ideas, but I’ve never been able to find the main character’s voice. Luckily, I think I’ve just started to find it recently. I sure hope so! JG: I’m writing lots of picture books, and also a novel. 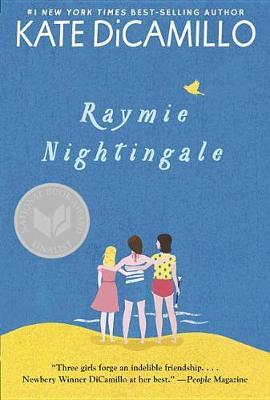 There do seem to be many books rushed through publication at the moment, particularly novels with misprints and with plots, characters and structure that could benefit from more care. This is actually preventing books from being shortlisted for awards. Why is this rushed writing and publication process happening and is it going to improve? JG: When I remember back in the dark ages when I was working as an editor, we had a lot more time to work on each title. We could give each book, and each author, the time they needed. Many publishers and editors still really try to do this now, but the world of publishing and the economics of publishing have changed so much, and books often tend to be rushed through. What would you both like to be remembered for? MW: As someone who did his best. And perhaps made the world slightly better – be that through my books, or talks and workshops, or even through our children. JG: I like Michael’s comment here, so I’ll echo that, I think – as someone who did her best!